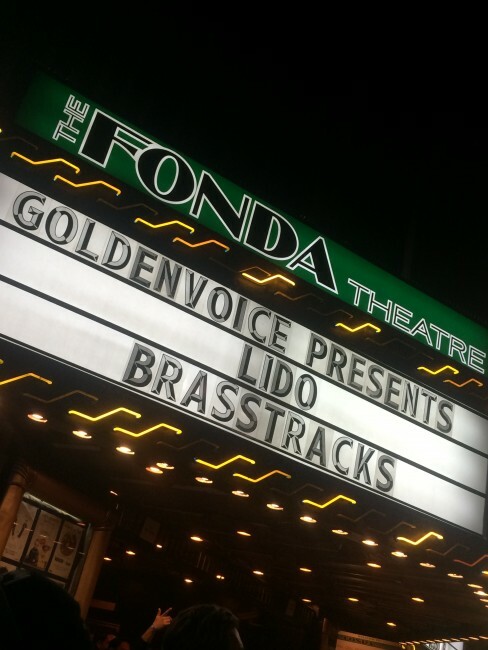 Los Angeles has always been home to great music. So many artists begin here — and if they don’t, they end up playing here at one of the city’s many venues. 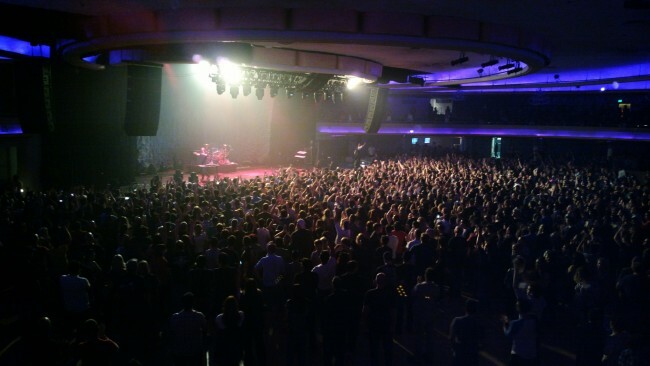 From intimate shows of barely over a hundred people to stadiums holding almost 20,000, the Culture Trip has narrowed down the best of the best when it comes to LA’s concert venues. This downtown LA club with a capacity of around 130 people is an epicenter for Los Angeles’ experimental, punk and noise scenes. The Smell features local bands when it’s not operating as a hangout for high school kids. It’s an all ages and alcohol free venue and offers tickets for as little as $5 (cash only), making it one of the most affordable and intimate venues around. In true LA underground club fashion, the Smell also has a library, a vegan bar, and a space for a gallery. Originally opened as a Hungarian café in 1989, this space reopened in 2008 as the Largo at the Coronet. The Largo is a seated theater with a capacity of close to 300 people, hosting comedy nights alongside music like rock, folk, country, and cabaret musicians. Most shows are generally a mix of music and comedy, which creates a more diverse experience for the attendees. This famous West Hollywood venue is an intimate club with a capacity of around four hundred. 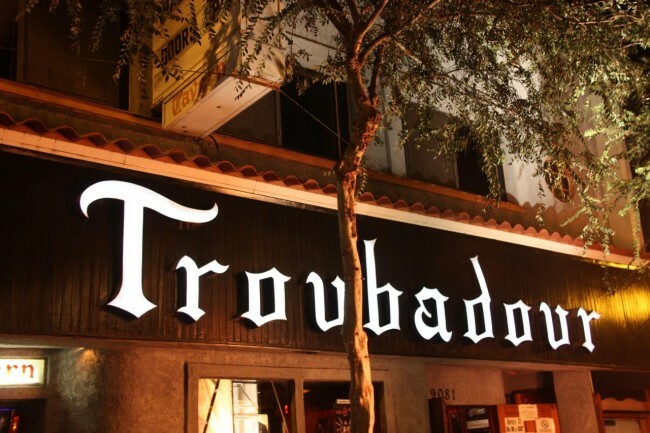 Host to nearly every kind of music, the Troubadour has hosted artists like Elton John, Guns N’ Roses, Radiohead, and the Eagles at the beginning of their respective careers. The inside is standing room and general admission on the floor with seated balconies above, allowing you to choose how personal you want your concert experience to be. The Roxy skyrocketed to fame when it premiered the first showing of the Rocky Horror Picture Show upon its opening, and it has also hosted a diverse lineup of famous musicians. Guns N’ Roses recorded live at the Roxy in 1986, and John Lennon and Alice Cooper used to spend their time hanging out in the bar above the Roxy. This Sunset Strip nightclub can hold around five hundred with standing room only, but the intimate size of the space means that it’s not hard to see the stage from any spot in the room. Located below its sister venue, the Echo (though it has its own entrance), the Echoplex is the larger of the two venues, with a capacity of around seven hundred. The venue, along with the Echo, offers a free Monday residency which has helped the careers of many bands. While the Echoplex is typically home to an indie-band crowd, the venue has seen all kinds of musicians grace its stage—The Rolling Stones even played a show here in 2013. One of LA’s top venues for years now, the famous Fonda Theatre was originally known as Carter De Haven’s Music Box and was one of Hollywood’s first legitimate theatres. It was given its current name after a 2012 renovation, and while the theatre holds non-music events, its primary focus is hosting concerts. The Fonda stage has seen just about everyone from Katy Perry to the Black Eyed Peas to Stevie Wonder to Lido. It can fit around 1,200 people and has both a standing general admission floor and a seated balcony — the intimacy of the space means that no matter where you end up, there’s a pretty good view of the stage, and you’ll be completely surrounded by a wall of sound. The Wiltern is another of LA’s most famous theatres. 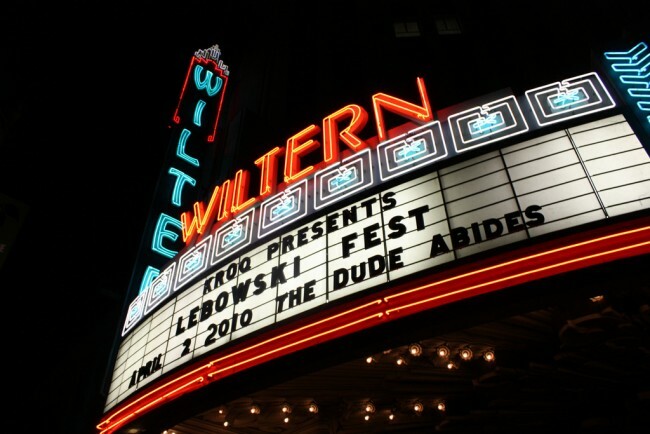 Most recently, the Wiltern’s façade was featured in the promotions for the premiere of Lana Del Rey’s new video, ‘Freak,’ and it was also the location of Adele’s pre-Grammy concert in February 2016. Originally designed to be a multi-tiered movie theater, the space operates now as a concert venue with seated balcony space and a floor space that’s typically standing and general admission. It feels larger than it is, which ensures that the intimate experience isn’t going to feel too crowded or claustrophobic while still giving everyone in the room a good view of the stage. 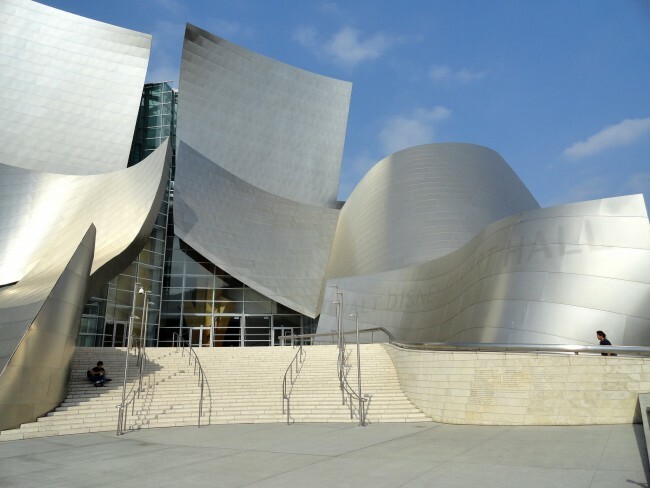 The Walt Disney Concert Hall is an architectural landmark in LA and features an exterior built of huge, curving stainless steel panels. The sophistication of its exterior mimics the sophistication of its interior—renowned for its acoustics, the concert hall is home to the LA Philharmonic and hosts their shows in a space as elegant as their classical sound. The Palladium opened in 1940 but was reopened in 2008, marking its return with a performance by Jay-Z — which is fitting for LA’s most popular mid-size concert venue. The Palladium was originally built as a dance hall, so the wide open floor space serves as a standing, general admission area that can hold around 3,700 people. There’s limited balcony space, but the venue doesn’t seem to need it — despite the larger capacity, it’s easy to feel up close and personal with the performers from wherever you are on the floor. 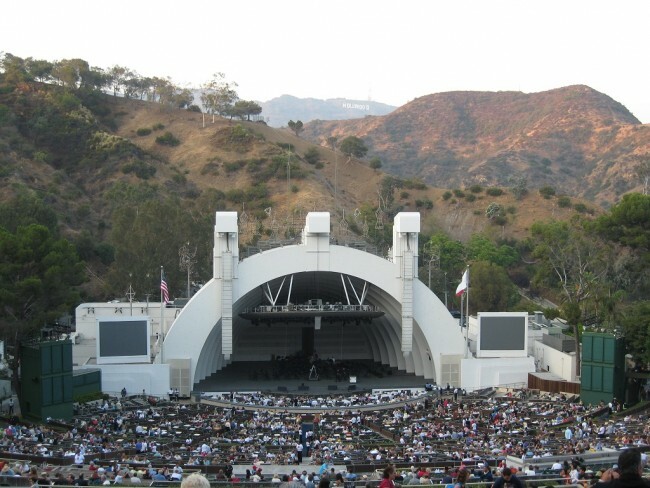 The Hollywood Bowl is an outdoor amphitheater with a capacity of over 17,000 people, and it hosts musical events throughout the year. World famous musicians play here, and in the Hollywood Bowl hall of fame, some of those musicians are showcased, like Stevie Wonder or Frank Sinatra. Because it’s an amphitheater, the experience it offers is vastly different from closed-in theaters — it’s seated and the music can be enjoyed out in the open air. The Forum originally opened as an arena but was renovated by the same people who own Madison Square Garden into a concert venue in 2014. 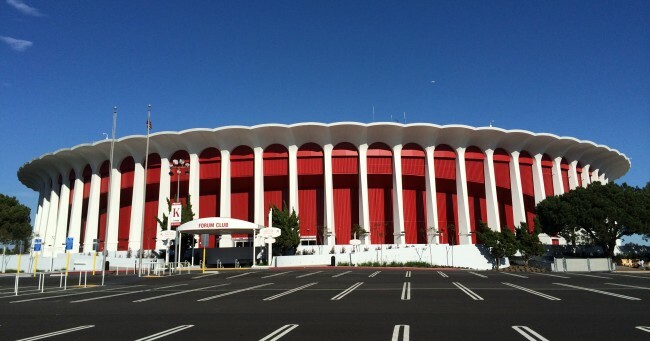 Famous bands play shows at the Forum — they’ve featured everyone from U2 to Mumford and Sons, and they recently gave two nights to the Weeknd for his ‘Beauty Behind the Madness’ tour in December 2015. Located in Inglewood in the former home of the LA Lakers, this space can hold around 17,000 people. Because it was renovated specifically for concerts, even the highest seats have good views! Opened in 1999, the Staples Center is a multi-purpose arena that hosts basketball games, hockey games, and concerts for some big-name artists. The arena is built to hold over 19,000 people, and in August 2015, Taylor Swift sold the arena out for five straight nights. Because of its size, it’s one of the least intimate music experiences around, but it’s also one of the only ways to accommodate the enormous demand for today’s biggest acts.